Vietnam’s natural forests—and the quality of its forests overall—are still in decline. At 80,000 ha in 2010, Vietnam’s primary forests accountin for only 1 percent of national area. Vietnam - Vietnam has witnessed a forest transition on a massive scale. Between 1943 and 1990, the country lost 5 million hectares (ha) of forest, representing fully 28 percent of its total land area. The government responded with reforestation measures—including plantation development, re-categorization of forest, tenure reforms, and enhancing natural forest regeneration—that increased forest cover to almost 40 percent of the land area by 2011. Nevertheless, Vietnam’s natural forests—and the quality of its forests overall—are still in decline. CIFOR’s study on REDD+ in Vietnam identified key drivers of deforestation as land conversion for agriculture and infrastructure, unsustainable logging, and forest fires. However, other less obvious driving forces are also at play including a growing demand for forest products and land; economic growth; shifting demographic factors; and existing policies that promote unsustainable land-use practices. The remaining ‘primary forests’ are estimated at 80,000 ha in 2010, accounting for only 1 percent of Vietnam’s national area. Vietnam’s remaining natural forests represent the country’s richest biodiversity and carbon stocks, and provide important watershed protection. To improve forest quantity and quality, the government in 2008 introduced the Payments for Forest Environmental Services (PFES) program. With funding from the private sector, PFES also aims to reduce financial burdens of the forestry sector from central government and seeks to improve social wellbeing of local people. After pilot projects in 2008 in the provinces of Son La and Lam Dong, PFES become institutionalized nationwide in 2011, a first in Southeast Asia. CIFOR has been following the scheme’s progress closely since its infancy, assessing its performance through the lens of the “3 E’s”—effectiveness, efficiency and equity—to derive comparative lessons for other global PES (Payments for Ecosystem Services) programs and Reducing Emissions from Deforestation and forest Degradation (REDD+) benefit-sharing mechanisms. 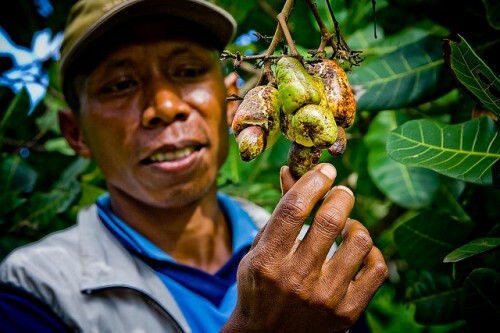 CIFOR’s Global Comparative Study on REDD+ acknowledges the boost of income that REDD+ may provide to the national PFES system and to poverty reduction strategies. Vietnam is also one of six case-study countries in CIFOR’s ongoing European Commission-funded Benefit Sharing project, with specific focus on multi-level forest governance as the context for REDD+ and assessing local equity perceptions of PFES. These studies aim to provide further insights into the multi-level governance land use decision making legitimacy, further assessing the procedural and distributive aspects of PFES. The successes and challenges of Vietnam’s PFES program were laid out at a recent workshop in Hanoi, where CIFOR delivered a presentation on the lessons it has learned from its research. The workshop, hosted by the Vietnam Forest and Protection Fund (VNFF), sought to develop ideas about the future of the PFES program while highlighting opportunities for policy improvement. The workshop indicated the willingness of Vietnam’s government in learning lessons from the PFES program and from similar programs in neighboring countries, and it was attended by national and provincial PFES stakeholders as well as national and international researchers. Speakers at the workshop praised the government’s commitment to the PFES program, which has generated “considerable financial resources for forest protection in Vietnam,” said Dr. Vu Tan Phuong of the Vietnamese Academy of Forest Science—about USD 142 million since the program’s implementation. Watershed protection services represented the vast majority of this money, with the hydropower plants as buyers paying the forest owners as suppliers. The workshop did not shy away from discussing the program’s shortcomings, for example, the low payment rate per hectare of forests. These challenges reflect those identified in CIFOR’s PFES policy-to-practice report, which noted, “PFES payments are too small to cover the forgone economic gains from clearing forest.” It is suggested that bundling social and environmental programs, including REDD+, alongside PFES could provide greater incentives and funds to leverage environmental or sustainable outcomes to development. In addition, the workshop emphasized the incomplete policy guiding implementation of PFES and an inadequate monitoring system to evaluate impacts of PFES implementation. These weaknesses were also addressed in CIFOR’s report, which stated that despite the completion of a nationwide forest inventory, the available data are insufficient to delineate forest areas or assess forest quality at the local level. Furthermore, there has been no baseline recording of environmental and socioeconomic conditions needed to assess performance progress. Yet despite these challenges, attendees at the workshop remained optimistic. Recent steps by Vietnam’s government indicate that this may happen. Since the workshop, a high-level PFES meeting was held by Deputy Prime Minister Hoang Trung Hai, and Vietnam’s Ministry of Agriculture and Rural Development (MARD) have submitted a proposal for PFES policy revisions. Dr. Phuong said that MARD and VNFF will seek to finalize policies supporting the PFES implementation as well as preparing guiding documents. Meanwhile, a monitoring and evaluation system will be a priority to ensure more effective and transparent PFES implementation. These steps could go a long way to protecting Vietnam’s last remaining primary forests. For more information on the topics of this research, please contact Anastasia Yang at a.yang@cgiar.org.